A fundraising campaign for Helping Children Worldwide. For just $25 a month, you can help a child reach their awesome God-given potential. 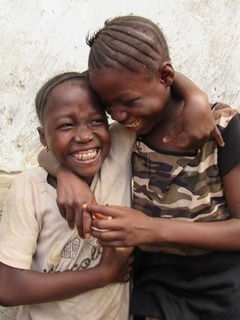 The Child Rescue Centre supports nearly 500 vulnerable children and youth in Sierra Leone, one of the poorest countries in the world, by providing for their education, health care, and spiritual mentoring. Our programs help struggling families keep their children in school, so that they can become self-sufficient leaders in their communities and their nation.